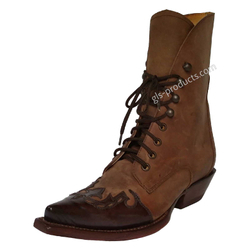 leather inner lining and a comfortable insole which is similar to a footbed. Outer leather and sole are stitched together via a welt seam. the leather inner lining and comfortable insole simply speak for themselves. between two possible sizes then you should opt for the larger number. There is currently no rating submitted for Mezcalero Ladyboots Quincy.